We offer a complete line of home care services to keep you or your loved one living comfortably at home. 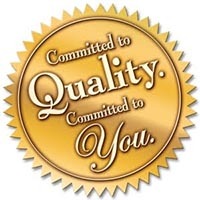 Behr’s Homecare is devoted to providing exceptional in-home care services. Discover the home care solutions you’ve been searching for in the Utica, NY area. Behr’s provides 24-hour homecare services to adults recovering from injury, seniors and new mothers. Behr’s Homecare understands the challenges families encounter when searching for quality in-home care services for your aging loved one. At Behr’s Homecare LLC we understand no one really wants to leave the comfort and familiarity of his/her own home. Statistics show that when people are removed from the home, especially seniors, the length and quality of their lives can be drastically reduced. We have the expertise to work with all types of individuals and will take care of your loved ones. Learn how we can work with you to keep you or your loved ones at home and comfortable. Contact us (315-877-2610) today for a free in-home care needs assessment.